The sculptures of Chris Larson speak of destruction at a pitch that refuses all euphemisms. They are barren and fragile; vacuous vitrines of preserved remnants of violence. Like cages on stilts, each sculpture holds a bed of plaster that chips and cracks within its frame—manmade scorched earth. Tiny matchsticks are broken and carefully stacked; small piles of dust are swept and gathered. Despite being open to the surrounding air, the inner components of the sculpture seem to exist in a vacuum, as if couched in invisible formaldehyde. Giacometti is important—The Palace at 4 a.m. a reference both visually and metaphysically—as is Kafka’s aura of nihilism from In the Penal Colony, and Vonnegut’s Billy Pilgrim of Slaughterhouse Five. Chris Larson, “Untitled (double studio floor),” 2013. 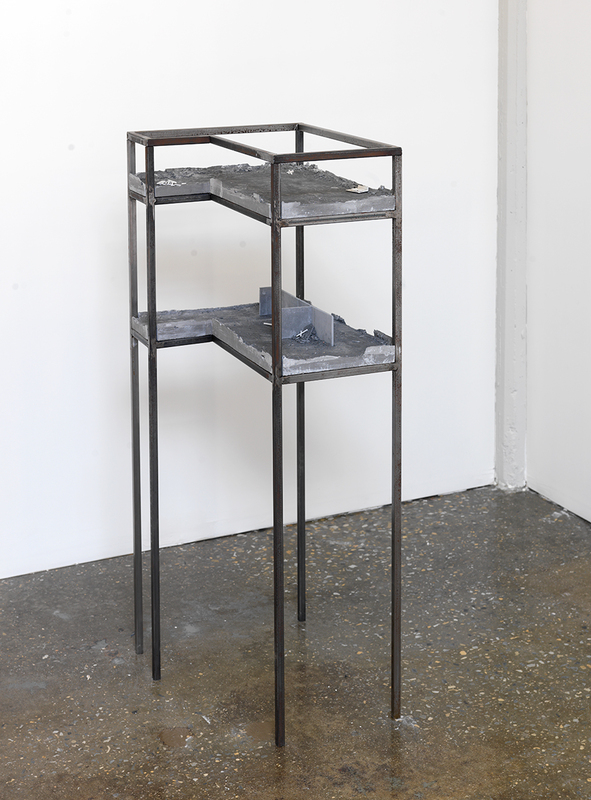 Metal, plaster, 48 x 32 x 24″. Courtesy of the artist. Yet Larson’s abstractions keep us at a distance. By refusing any direct representation of violence, he can allude to every conflict at once. It is an elegant subversion of specificity; one feels as if gazing upon a miniaturized archeology of our world’s wars—past, present, and future. 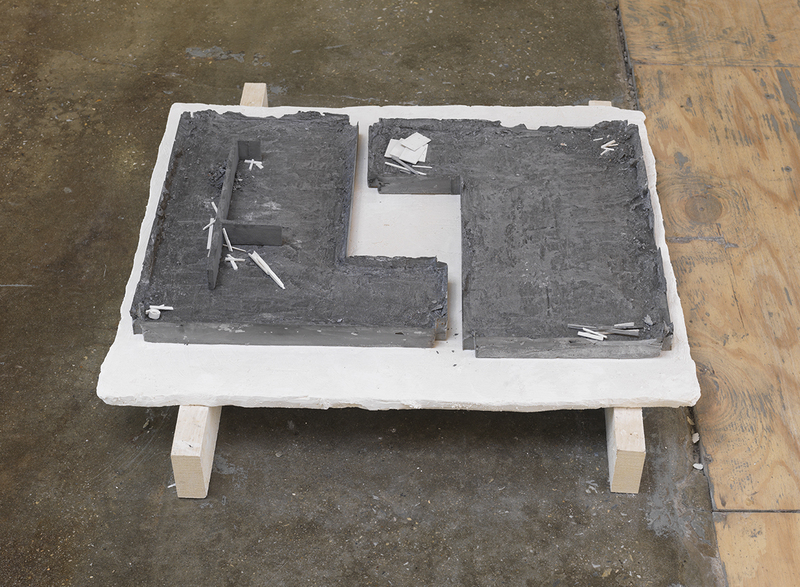 Chris Larson, “Untitled (studio floor refigured and resited),” 2013. Plaster, 34 x 34 x 9. Courtesy of the aritst. Photo by Brian Buckley.